Perfect for a bustling office environment, the HP OfficeJet Pro 8000 series offers printers built to withstand the rigors of a growing business. Scan, print, fax, and copy in astonishing high speeds so you never miss a deadline again. Ultra-fast two-sided printing completes complex projects with ease so your creativity is never limited. 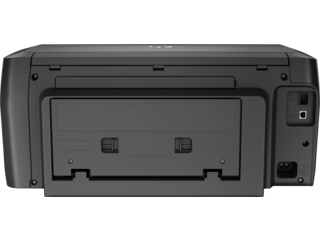 The innovative design of the HP OfficeJet 8000 series saves space and stress so you never have to battle with clunky printers again. Built to handle high-volume print requests, feel confident knowing that all of your projects will feature crisp text and vibrant colors that are bound to impress even the most critical client. 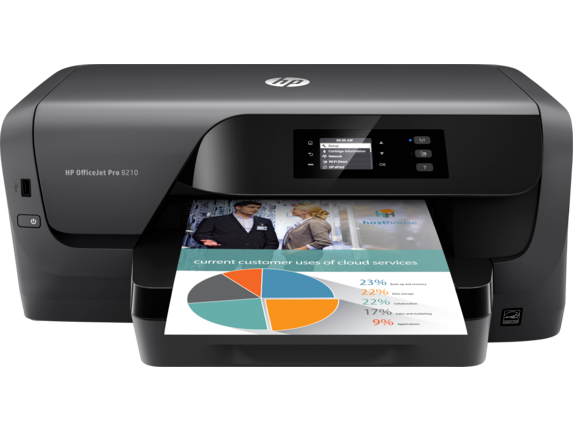 Equipped with intuitive touch screens that make each job as easy as scrolling on your smartphone, an HP OfficeJet Pro 8000 device fits seamlessly into your daily routine. For increased privacy, pages are printed face-down so you can keep sensitive information safe. Additionally, an integrated output tray prevents pages from spilling out onto the floor. When you want to print without limits, opt for a jack-of-all-trades device like the HP OfficeJet Pro 8720 All-In-One Printer. This incredible machine is equipped with a print speed of 24 pages per minute and monthly duty cycle of 30,000 pages so you can take care of business faster than ever before. HP Thermal Inkjet technology delivers a stunning 4800 x 1200 optimized dots per inch resolution so each photo or graphic comes out crystal-clear. As if the professional-quality printing capabilities weren’t impressive enough, high yield ink cartridges allow you to print more pages with fewer interruptions that slow down productivity. 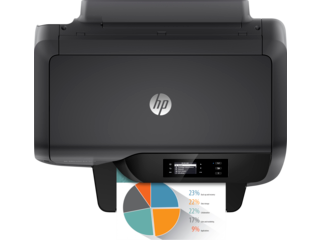 Not to mention, this printer can yield beautiful documents at 50% less cost per page than standard laser printers - making the HP OfficeJet 8000 series an obvious winner for budget-conscious businesses. Automatic duplex printing and a 250-sheet input tray ensure you never have to waste time on manually managing each job since this printer does all the heavy lifting for you. Need to send yourself a document? Use the easy scan-to-email feature to quickly digitize any file and send it straight to your mobile device. 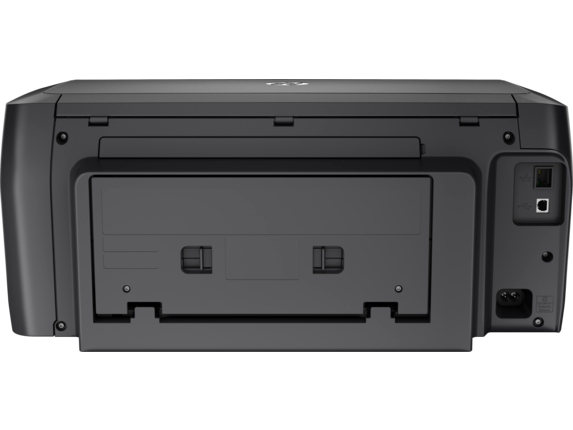 Simply use the 4.3-inch color touch screen to scroll through the printer’s options, and set up customizable shortcuts to access frequent print jobs with a single tap. If you’re looking for the same exceptional features but in a more family-friendly size, HP OfficeJet printers are perfect for handling all your home printing needs. Still equipped with the all-in-one capabilities you’ve grown to love at work, these compact devices are great for decorating the fridge with family photos or churning out the annual holiday card. All HP OfficeJet Pro 8000 printers are optimized to make your experience as seamless as possible. Boost productivity around the office and experience fewer technical problems thanks to the ability to print directly from your mobile device. If your phone or tablet can connect to the same network as the printer, simply use AirPrint™ to send documents from your iPhone or iPad. For devices that use Google Chrome, Windows 8/10, or Android operating systems, there are several simple HP Print Service plugins that allow you to connect to the printer. Are you unable to access the company’s network? No problem. Just use the printer’s built-in WiFi Direct services so you can correspond directly with the printing device. Even when you’re out running errands on your lunch break you can still access the incredible printing capabilities of the HP OfficeJet 8000 series. 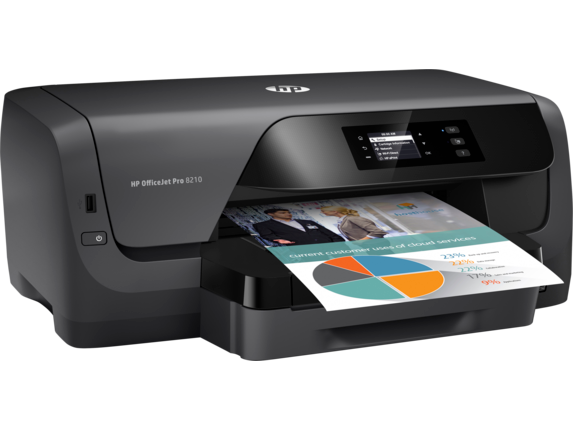 Just email your document as an attachment to the HP ePrint email address of your printer, and grab your project as soon as you get back to the office. The possibilities for mobile printing are practically endless, giving you the power to manage your work whether you’re in the office or working remotely. 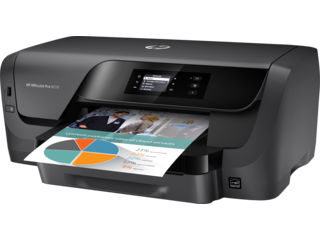 Most HP OfficeJet Pro 8000 wireless printers are ENERGY STAR® qualified to reduce the impact on the environment and keep money in your wallet. Whether you’re eyeing the HP OfficeJet Pro 8720 or the HP OfficeJet Pro 8210, you can rest easy knowing your documents are being printed with energy efficient technology. Original HP high yield ink cartridges are also an eco-friendly option. Delivering twice the number of prints as standard cartridges, you don’t have to toss empty packs nearly as often. Conserve your energy, time, and money with the professional-quality printing capabilities of the HP OfficeJet Pro 8000 series.